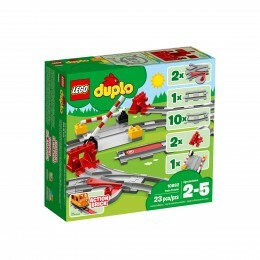 Have even more LEGO DUPLO train fun with this tall bridge and extra track pieces. 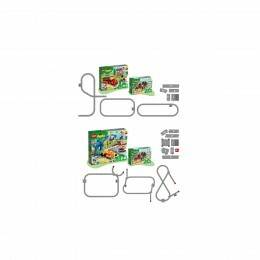 Add this LEGO DUPLO 10872 Train Bridge and Tracks set to any new or existing DUPLO train set and develop early construction skills as your toddler builds the tall bridge and arranges the toy train track pieces in any way they like. 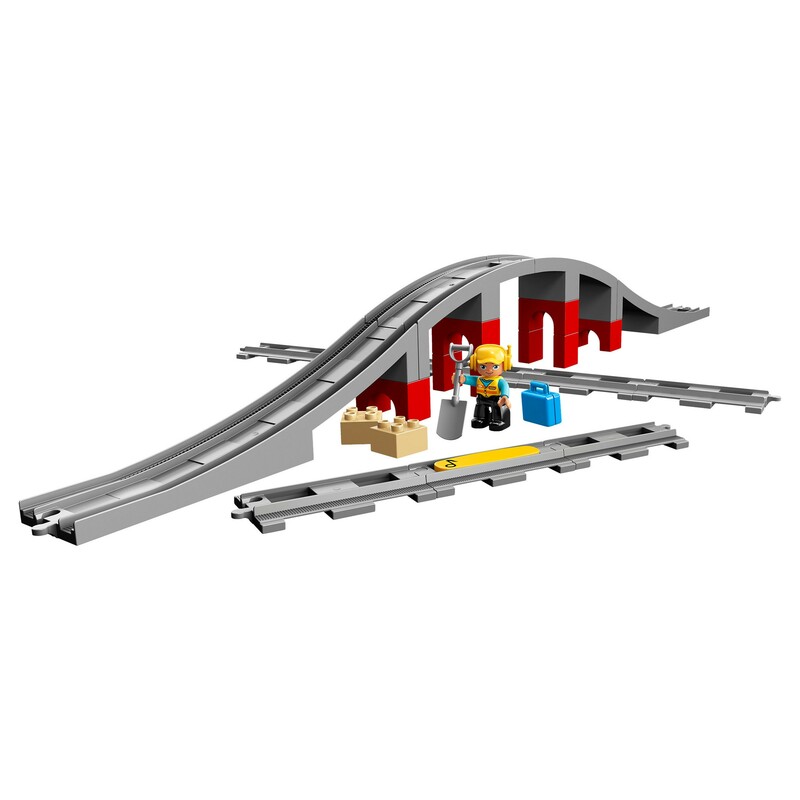 Help your preschooler place the yellow action brick on the track to make compatible DUPLO trains sound a horn as they drive over it. 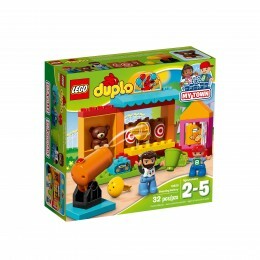 Also includes a LEGO DUPLO construction worker figure, 2 loose bricks, a spade and a suitcase to extend the role-play and story-telling fun. 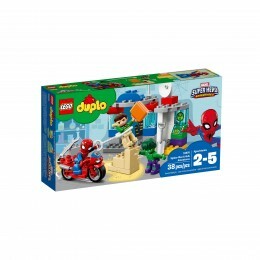 Includes a construction worker LEGO DUPLO figure with spade and suitcase accessory elements. 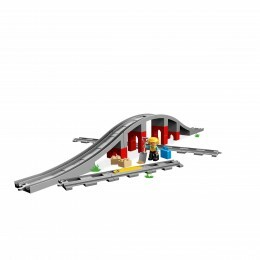 Use this set with the 10874 Steam Train or 10875 Cargo Train to extend the possibilities of your LEGO DUPLO train collection. 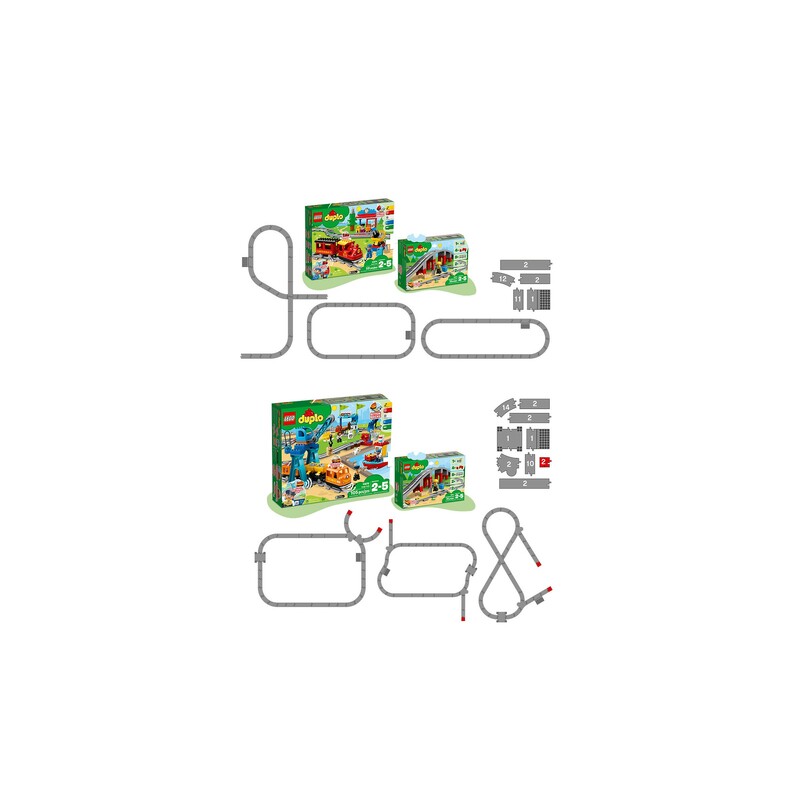 Show your child how easy it is to place the yellow action brick on the track to make any compatible LEGO DUPLO train, such as the 10874 Steam Train or 10875 Cargo Train, sound the horn as it passes over. 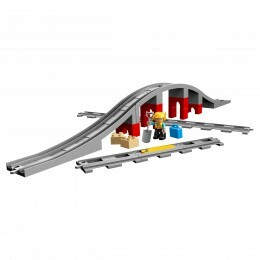 The tracks included in this set are compatible with your child’s existing LEGO DUPLO train collection. 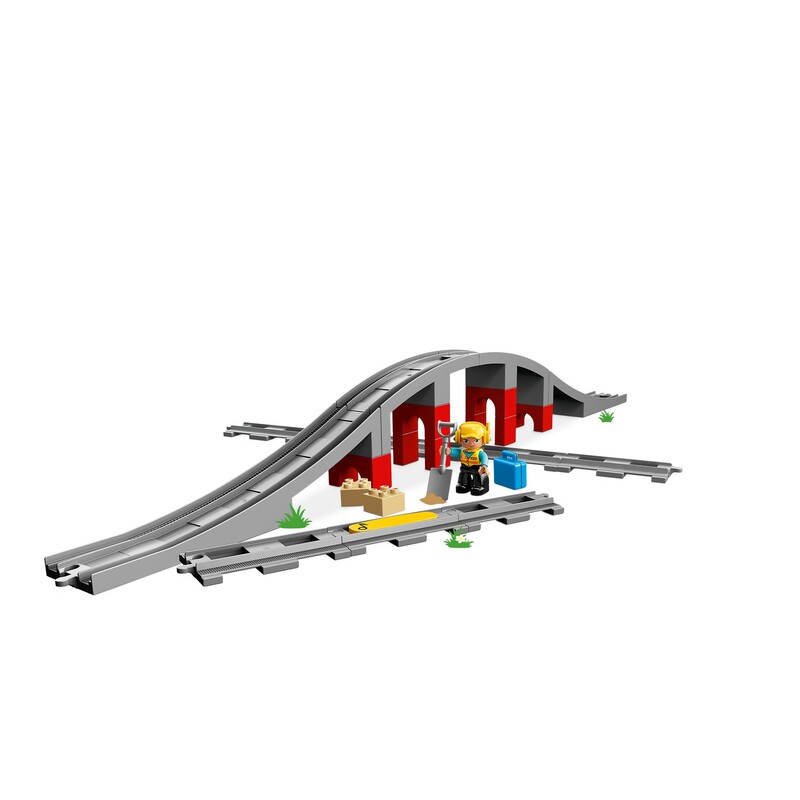 Combine with 10882 Train Tracks for even more track combinations and LEGO DUPLO train fun. Bridge measures over 4" (12cm) high at its highest point.